Cleanroom Synergy plastic glove boxes are an economical solution for isolation and/or containment requirements. With a variety of materials and system options to choose from, these modular by design glove boxes are easily configured for application specific requirements and project budgets. For environmental control, select from our Gas Control Solutions section located below. 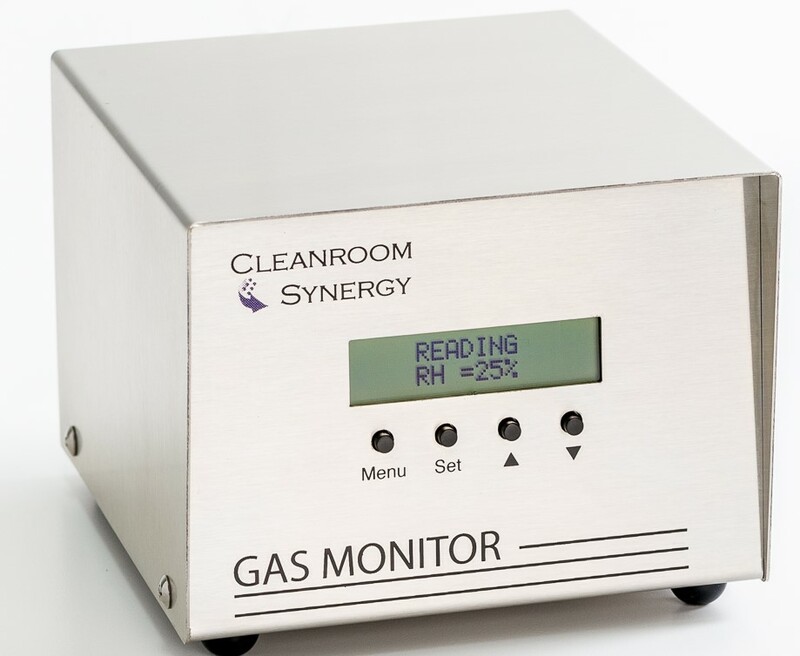 These hermetically sealed enclosures can be set-up as an ultra-clean, humidity controlled processing environment or used as a simple isolation chamber without filtered air and/or dry gas purging. When used with the optional Gas Purge™, Gas Monitor™b and Sonic Humidifier™ control systems, these glove boxes are transformed into an ideal contamination free, humidity controlled processing environment that is suitable for a variety of manufacturing and processing applications. 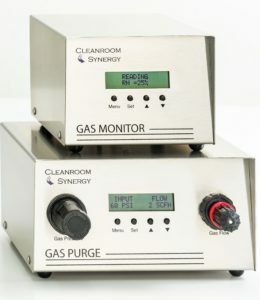 For automated control over low R/H levels (0% to ambient RH) or for complete R/H control (0% – 100%), select the optional Gas Purge™, Gas Monitor™, and Sonic Humidifier™ control systems listed in the “Gas Control Solutions” section of this page. Click here for additional information. Select the appropriate glove box with the appropriate quantity of 8” or 10” glove ports. 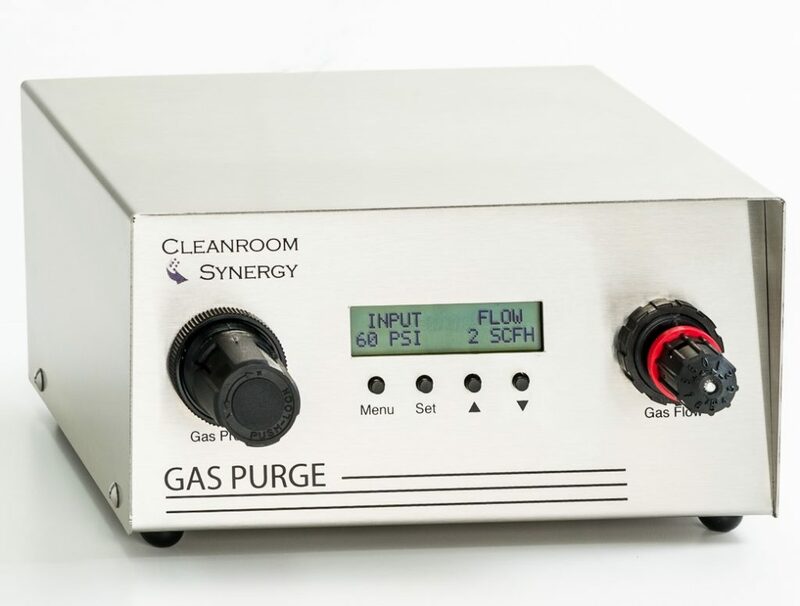 Complete your glove box configuration by then selecting the air lock chamber(s), glove type, gas purge devices/controllers and other system options as needed to suite the application requirements. ** Polypropylene glove boxes feature a non-dissipative PVC viewing window and a 120V fluorescent light fixture (add -220 to the end of the part number for 220V light fixture). *** It is highly recommended that stainless steel shields be installed in Static Dissipative PVC desiccators to protect the chamber bottom surface from repeated scraping and rubbing, which can lead to loss of dissipative properties. Features a right side access door (standard) and an optional left side access door. Access doors features stainless steel hinges & door frame, a triple chromed compression lift latch & catch and a one-piece gasket. Glove boxes include drilled and tapped ports (1/8” NPT) for gas purge fittings and installation of an Auto-Adjust RB™ Valve (sold separately). Stainless steel shields prevent scratching and un-necessary damage to the glove box. Pass-through air locks feature in-line doors and chrome plated racks that accommodate optional shelving for organized transfer of materials. Interior door swings inward towards the back and the exterior door swings. * Acrylic is susceptible to damage with the prolonged use of alcohol and other cleaning/disinfecting agents. Glove boxes made of Static Dissipative PVC may be a better choice in these instances. ** Polypropylene air locks feature a non-dissipative PVC viewing window. *** It is highly recommended that a stainless steel shield be installed in Static Dissipative PVC air locks to protect the work surface from repeated scraping and rubbing, which can lead to loss of dissipative properties. Acrylic shelves should not be used with static-dissipative PVC glove box and air lock combinations. Economical and durable, this combination features gloves that are permanently vulcanized to the sleeves, which are made of heavy-duty, chemical-resistant neoprene and designed to be used on 8” (203 mm) or 10” (254 mm) diameter glove ports. Gloves are also made of neoprene. Clamps included. Flexible by design, these accordion sleeves can be used with a variety of gloves, allowing glove sizes and types to be changed without changing the sleeve. The convoluted design provides the operator with more comfort and better air circulation around the arms. Designed to be used with either 8” (203 mm) or 10” (254 mm) diameter glove ports. Clamps included.